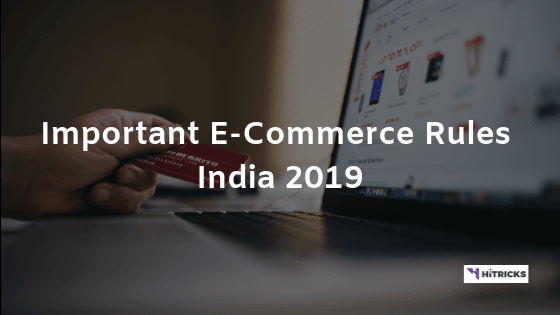 Home » Ecommerce » New Indian E-Commerce Rules 2019: No more Offers! Are you a regular online shopper? Love buying from Amazon and Flipkart? Love the exclusive discounted and loot deals? Then its time to remind you that a huge wave is going to disrupt the e-commerce market and change your shopping experience forever. Though the changes are aimed at bringing more stability and transparency in the market and bridging the gap between the online and the offline market, it might hurt you as a shopper. Platforms like Amazon and Flipkart are making bulk purchases from brands and allowing selected sellers to sell the products (Such as their Affiliates) and can sell products at huge discounts by maintaining exclusivity with brands and sellers. These practices pull the Local trader and small sellers out of the race. To plug the loopholes and restrain the practice of giving huge discounts by the online marketplace, the government has imposed a new rule last week which restricts e-commerce companies like Amazon and Flipkart from selling products from the company in which they have an equity interest. These are the new rules that were implemented. E-commerce companies are not allowed to sell products from businesses on which they have an equitable sharing of profit. No company can have exclusive tie-ups with any E-commerce platform. E-commerce companies cannot provide huge and unreasonable discounts. There should be transparency in product prices. A seller cannot sell more than 25% of products of any e-commerce platform. The Original Press Notes can be downloaded as PDF formats from the official website of the Department of Industrial Policy and Promotion of the Indian Govt. Click here to read. However, we have broken it down into simpler formats below. Firstly, e-commerce companies cannot sell their own products under their own sub-brand. They are marketplaces and can’t follow the inventory model for selling products. For those who don’t know the inventory model and marketplace model, read below. 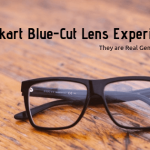 You will find Flipkart selling some exclusive goods under the tag Flipkart Smartbuy and Amazon selling under Amazonbasics. These are nothing but their own branding. Unlike 3rd party companies, these products are manufactured by Amazon and Flipkart themselves and sold exclusively by their own sellers (Amazon has Cloudtail, Flipkart has WS Retail) on their own platforms. In general, these products are of good quality. I myself am using a laptop sleeve for my MacBook Air, which is manufactured by Amazonbasics. I got it for Rs499. Trust me, the quality is so good! It’s of premium quality and protects my laptop perfectly. And, to be honest, its pricing is quite reasonable than a locally available MacBook case. So, Amazon, being a big company, is able to manufacture and distribute these bags at competitive pricing. This is the inventory model. This isn’t allowed anymore, because, you see, it doesn’t have the transparency in the pricing. You don’t know how it is manufactured, and what is the quality of the raw material, and how it is produced so cheap? It might give those products an unfair advantage, as a giant like Amazon can go on offering them at highly competitive rates to get more sales. Instead, they have to follow the marketplace model. A marketplace model is simple. You love to buy products of XYZ brand. E-commerce platforms can only act as marketplaces to list products of XYZ brands via different sellers. And you buy from them. This doesn’t affect the local offline market, as the products being sold both online and offline remains the same. The new rule will help the traditional Brick and mortar sellers in many ways. From past few years, the online marketplace has gained a large number of user base because of discounts and cash backs they also offer the consumer don’t need to step out. Now as the cuts and cash backs will disappear it will help the Brick and mortar sellers to gain back the customers. A small seller on the e-commerce platform will also get a big advantage. Any services available to the sellers on these platforms like logistics and warehouse will now be available to all the sellers. Previously it was open to preferred sellers in which the company had stakes. Also, Small e-commerce websites like Snapdeal and Shopclues will now be able to compete with the big players. The new rule will create a level field for all the players in the online marketplace to compete. Big e-commerce websites like Amazon and Flipkart has invested in companies which manufacturers products for these websites in bulk and they sell it to their preferred seller who lists the same product at a lower price. Further, the new policy prevents a seller from selling more than 25% of products of a single e-marketplace firm on an online platform. This will prevent a brand or supplier to maintain exclusivity with a unique marketplace as they cannot sell more than 25% to one vendor. The leading online players will also have to offer equal services to all sellers without discrimination. As mentioned previously some services were available only to preferred sellers in which they have an equity interest, and small sellers were meted out. The new rule also restricts a brand or supplier to make an exclusivity with one marketplace. Now a brand cannot make exclusive launches of its product and give a higher discount on a particular e-commerce website. That means, brands like OnePlus or Xiaomi, which has exclusive launches over a platform, cannot continue to do so. This is interesting, as we have only seen OnePlus smartphones being sold exclusively on Amazon India. But, according to the new rules, no exclusive partnerships can be undertaken. Finally, it also prevents e-commerce companies from hosting sales with huge discounted deals. As these also affects the local market heavily, as people tend to buy discounted products that they get offline. While these new rules surely mean the end to the so-called LOOT deals, it can surely bring in more fair and transparent trading in the market without drastic price difference. So, when will the new rule come into effect? As said by the Department of Industrial policy and promotions (DIPP) the new e-commerce rule will be effective after February 1, 2019. Which means the upcoming 26th January (Republic day) might be the last Big Billion day or Amazon Great Indian Sale we will see. How does it impact Amazon and Flipkart? 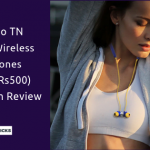 Exclusive launches and sales of products – The new plan will end the exclusive launches of products like OnePlus sells who their phone as Amazon Exclusive or Xiaomi who sells few is its products exclusively on Flipkart. Amazon Prime and Flipkart Plus – Amazon and Flipkart will no longer be able to provide faster delivery and higher discount. Amazon Fulfilled, and Flipkart Assured – These programs limit the services like Warehouse, logistics, advertisement, payments and, fulfillment to preferred sellers. Now after the new rule, the services will be open to all sellers. Amazon and Flipkart sellers – Affiliated sellers like Cloudtail, Appario Retail on Amazon and RetailNet, SupercomNet, Omni TechRetail on Flipkart and Myntra will be profoundly affected by the new rules. Exclusive deals between a brand and a marketplace have been banned which means it will also affect the customer in many ways. No discounts and cash back: The brands like Xiaomi will not be able to make exclusive deals with Flipkart or Amazon by which they were able to sell heavily discounted smartphones, after the new rule this will not be possible. Also, a selected seller on Amazon or Flipkart will not be able to offer cashback individually. No big online sales: We will not be able to see Big sales like Flipkart Big Billion day or Amazon Great Indian Sale because the discounts will be deemed unfair and discriminated under the new policy. Thank you for reading this post. Do share this post with your friends and let them know what’s changed. If you have any further queries, don’t forget to drop me a comment below. I will be happy to help you out. I will be back with another exciting update. Keep following HiTricks. What is the verified source for this particular article? Because this article is too good to be true.